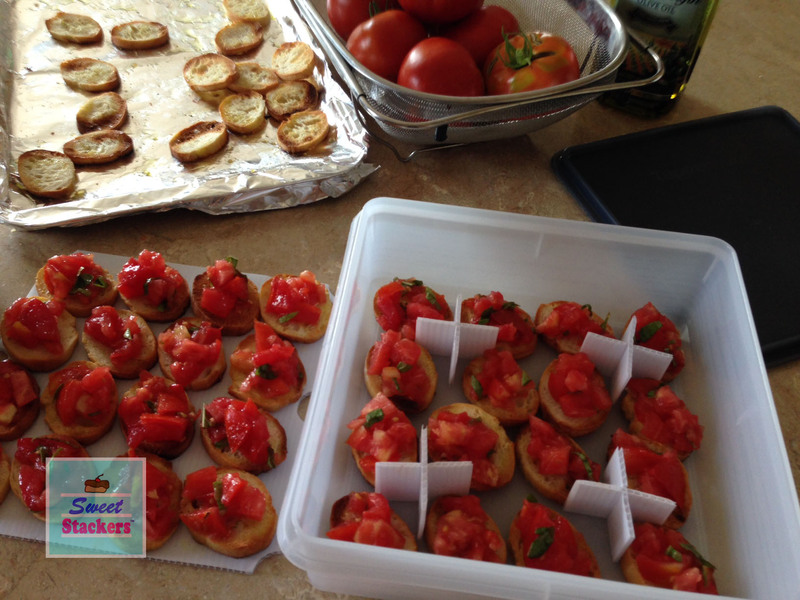 …and for the The Triscuit Summer Snackoff – Challenge 2! Triscuit – check! Peas – check! 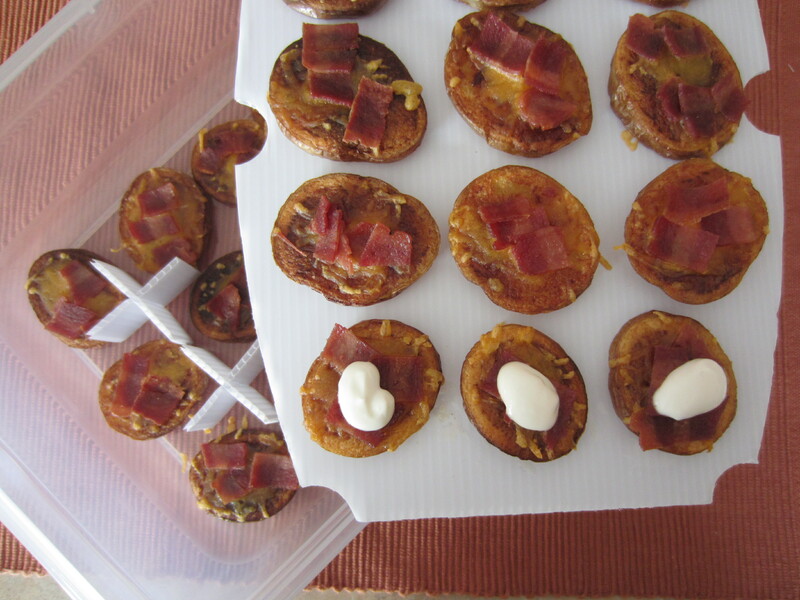 and at least one other ingredient – check! This time I am even more determined that it would be great to meet Martha Stewart! My inspiration for this recipe came to me as I was making a batch of homemade hummus. I actually get cravings for hummus! It wasn’t until I started working after college that I was enlightened about a little family owned mediterranean restaurant in my neighborhood. I remember having hummus for the first time and I will admit that I was not impressed. But I loved the rest of the food and after trying hummus a few more times, I became addicted. 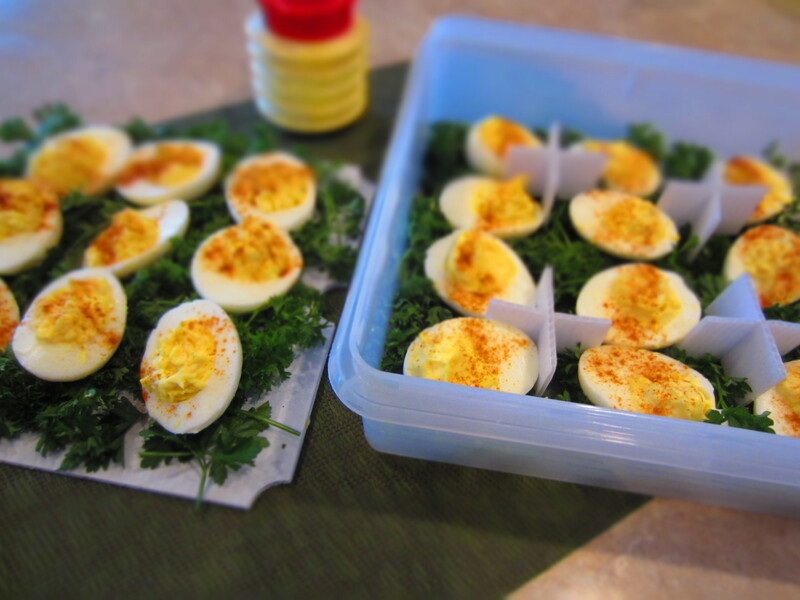 It is a great healthy snack – and yes, I do crave it! Always wondered if I am the only one? 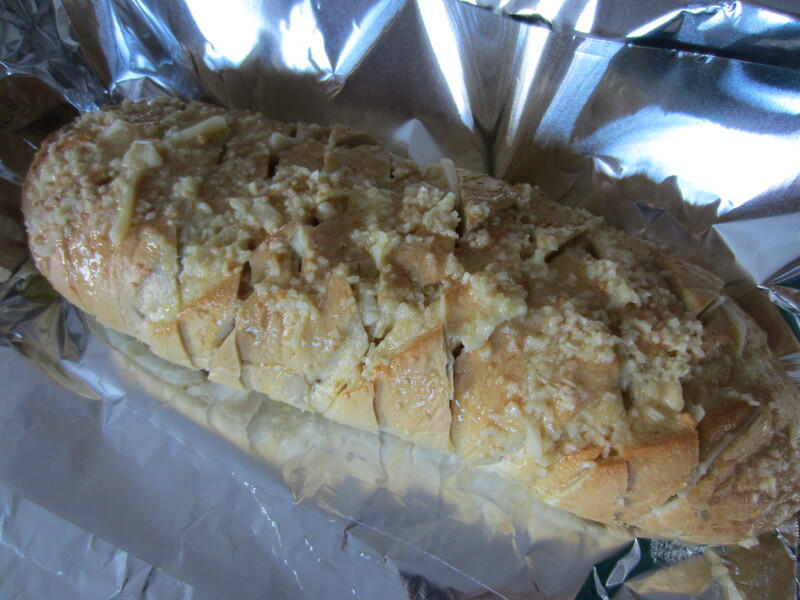 I’ll be honest…this is totally my creation, I didn’t even check the web to see if there were recipes already like this! 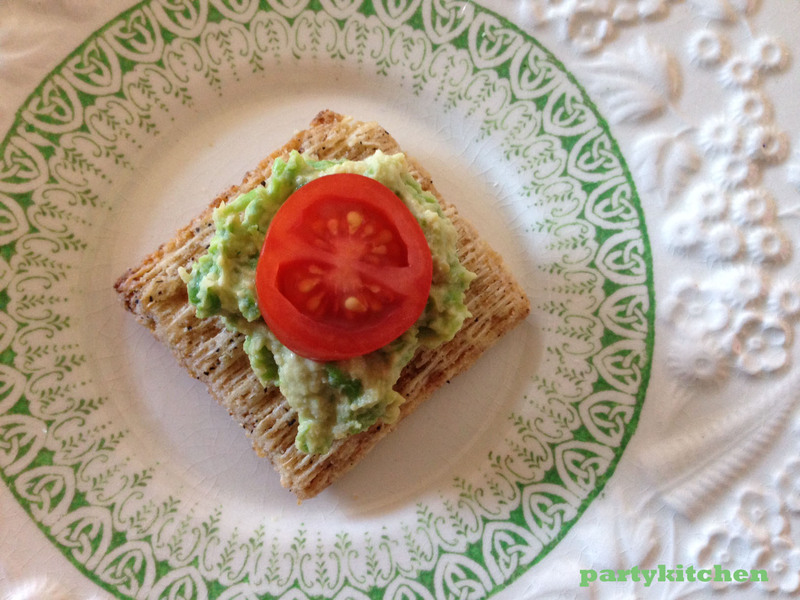 So here is a basic hummus recipe with the addition of green peas! The green peas sweetened and “freshened” the hummus. Traditional hummus does not have the most eye-appealing color, so the bright green from the green peas really made for a beautiful presentation! In a food processor, add garlic clove to mince. Add remaining ingredients, one at a time while blending. If the mixture is too thick, gradually add up to 1/4 cup of water until you reach a preferred consistency. 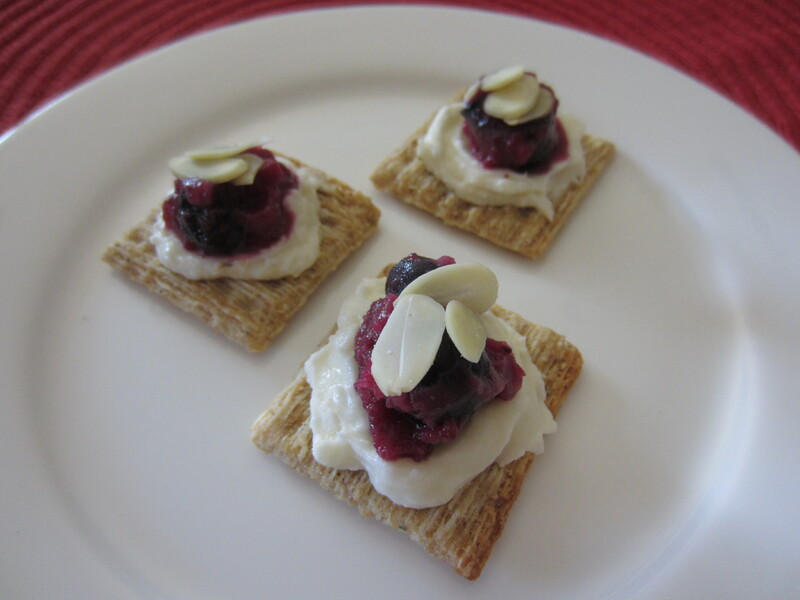 Triscuit Berry Cheesecakes – savory & sweet dessert bites! 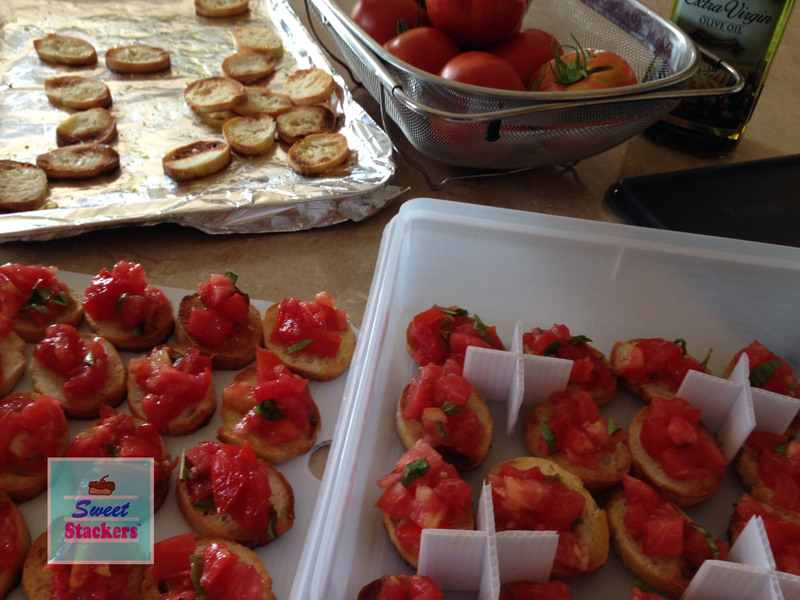 Today I entered the Triscuit Summer Snackoff and a chance to meet Martha Stewart! Why not…she is someone I would love to meet and I always have Triscuits in my pantry. This recipe was inspired by my Star Spangled Tartlets – a bite-sized dessert that I made for the 4th of July. Instead of using pie crust to make tartlets, the similar ingredients could be used as a spread or topping on the Triscuit. 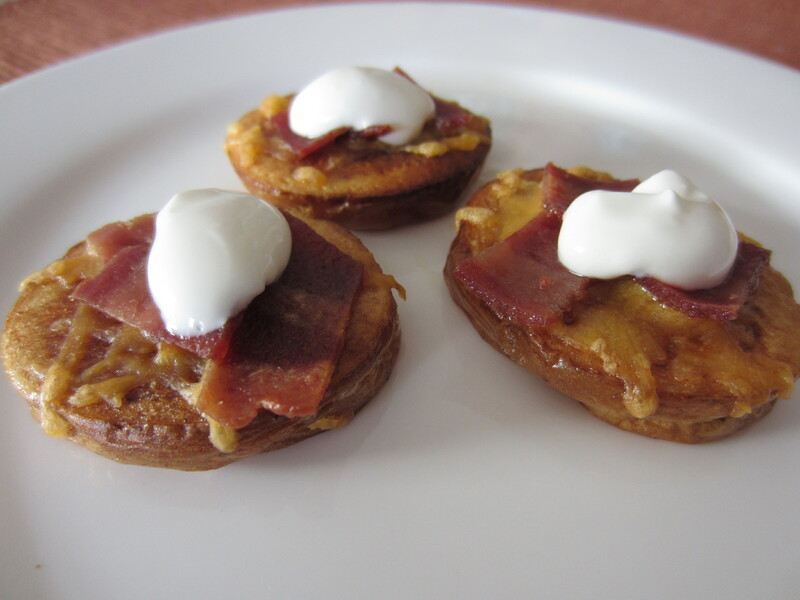 These would make a great savory-sweet appetizer or dessert to make up in a pinch! The sweet berry pie filling and cheesecake spread paired nicely with a savory Rosemary & Olive Oil Triscuit. My husband even said it was like a party in his mouth with all of the different flavors. It actually take a lot to impress him. Ha! So wish me luck!! Place the first 5 ingredients in a heavy saucepan, bring to a boil, stirring constantly until thickened. Remove from heat and cool. 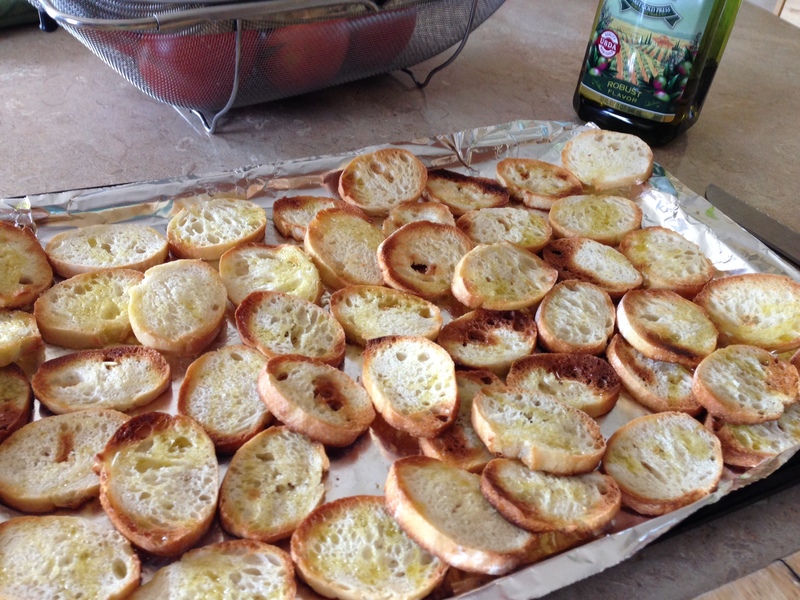 To assemble: Place Rosemary & Olive Oil Triscuits neatly on a serving platter. 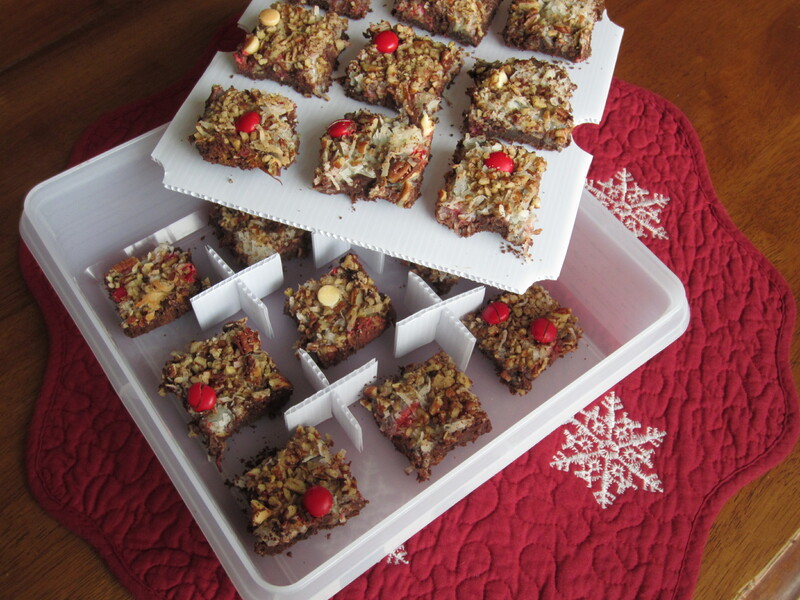 Spread cream cheese mixture on each cracker and top with a dollop of berry filling. Place a few sliced almonds on top to garnish. 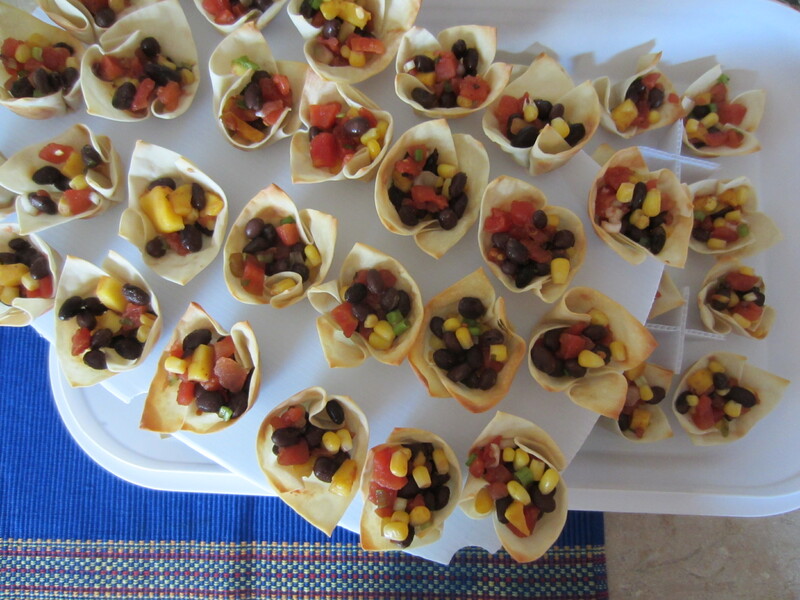 This appetizer turned out so cute, it was easy and fun to make using a package of Wonton Wrappers. It was actually harder to find the Wonton Wrappers at the grocery store! (they are found in the produce section) Making little cups out of Wonton really opens the possibilities because they could be filled with virtually anything. The key is not filling them with something liquidy, otherwise the bottom will get soggy. 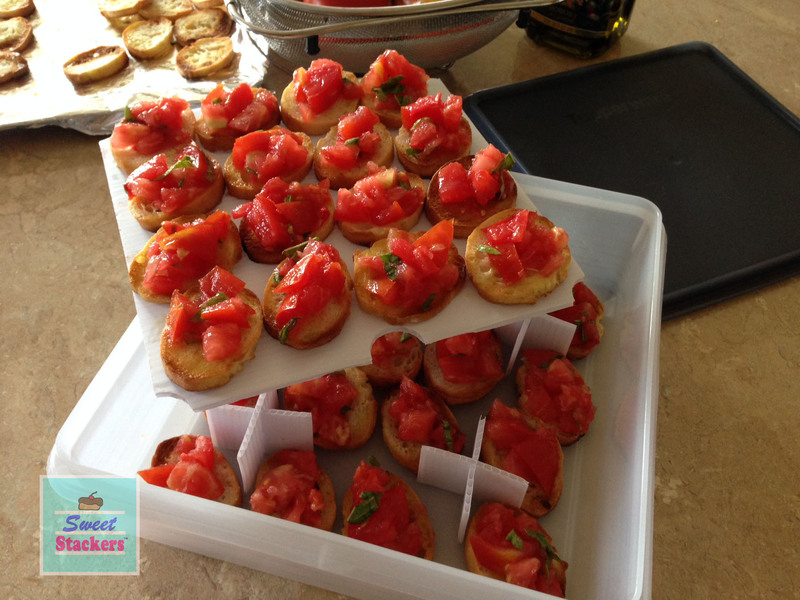 I transported 50 of these appetizers to a party using Sweet Stackers. I was able to fit two layers of these appetizer cups on the large rounded Sweet Stackers trays in one large cake container. 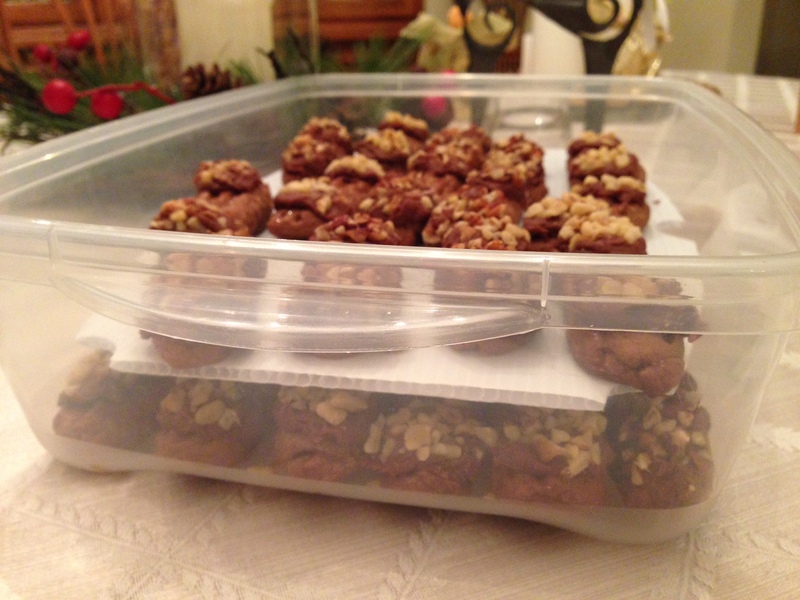 Visit sweetstackers.com to learn more about how to save space and make it easier to transport food items in one container! Preheat oven to 350°. 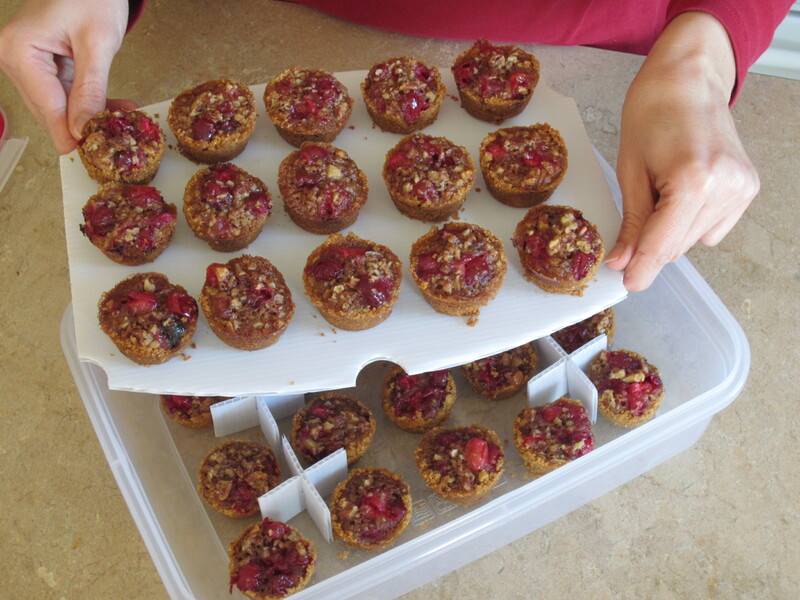 Gently press one wonton wrapper into each cup of a mini muffin tin. 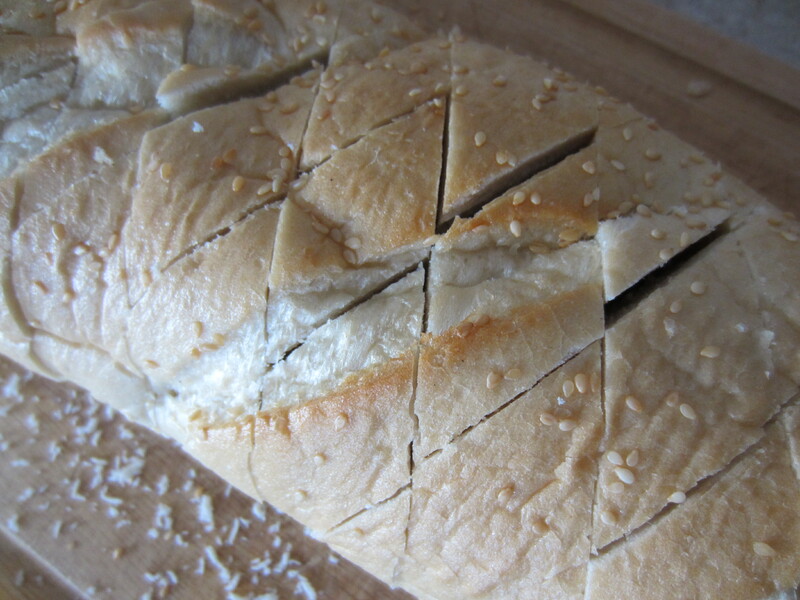 Ensure that the edges are folded out. Bake for approximately 7 minutes until golden. Remove from tin to cool. Drain the black beans, tomatoes, corn well. Mix with green onions and mango. Fill each cup and they are ready to go! Adding fish in our diets has proven to be very healthy and I have made it a point of making a fish dinner at least once a week. Usually my choice fish is salmon and my kids love it. My three-year old, likes the fact that it is pink…but I think my kids like the texture. I found an inspiring recipe for Salmon Cakes that reminds me of the crab cakes that I had when I was in Baltimore. 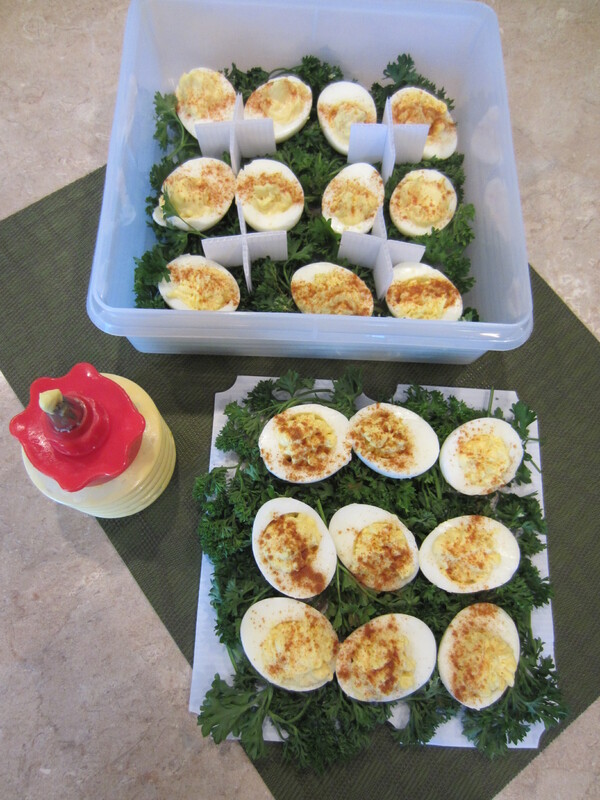 I just knew that the kids would love it….and they do! Salmon Cakes make a perfect main course, but also would make a tasty appetizer. To cook salmon: I prefer to buy my filet of salmon and either broil or grill it skin side down, by rubbing the surface with extra virgin olive oil and sprinkle a little salt and pepper over the top. It usually cooks in about 10 minutes, once the fish “flakes” and pulls easily apart. While it is still warm, I flake all of the meat away from the skin ensuring that there are no bones. 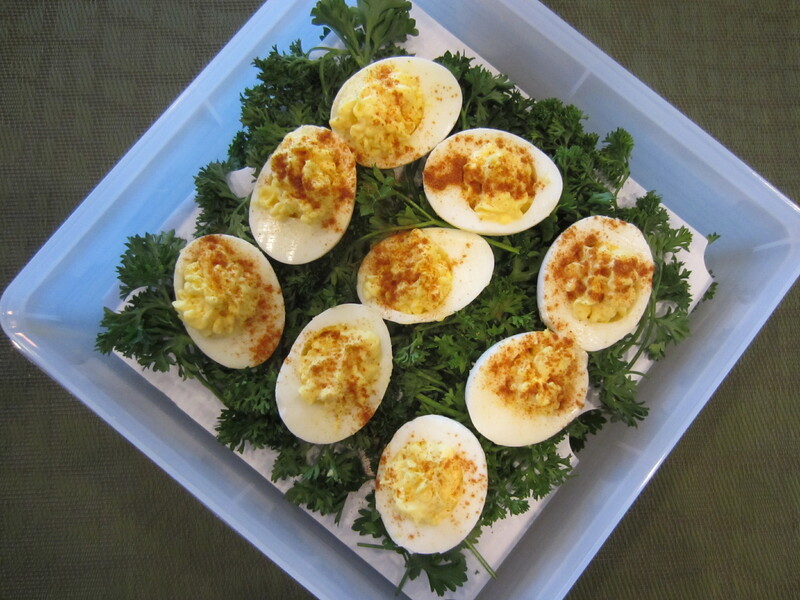 While the salmon is cooking, measure the bread crumbs, cheddar cheese, corn, mayo and egg in a large mixing bowl. Add the flaked salmon and mix all ingredients together until they start to bind. Make the patties by flattening them in the palm of your hand, they should be about 2 inches in diameter. Heat half of the canola oil in a large fry pan. Place the salmon cakes in the pan and cook for about 5 minutes, until the bottom is golden brown. Flip the salmon cake and add the remaining oil to the pan, cook another 3-4 minutes until golden brown. Can’t take the credit for this one, but I really wanted to pass this along because I thought it was a different idea for lunch. I am bored with sandwiches, trying to get more veggies in our diet and looking for alternatives for breakfast, lunch and snacks. Snack Girl has done it again! She has a ton of great ideas to eat healthier and I am listening! This Tuna Boat makes a great finger food which is a perfect for lunch at home, on a picnic (if kept cold), or zapped in a microwave at work. 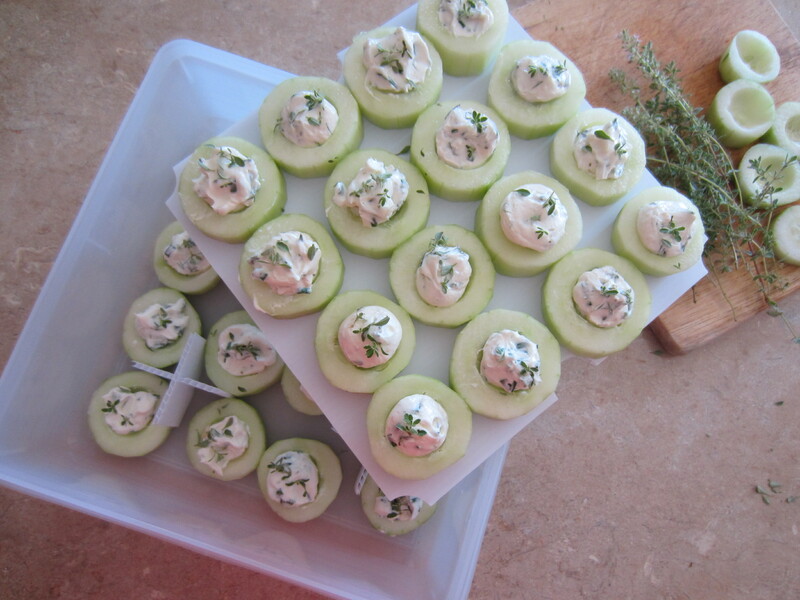 Don’t you think it would make a delicious appetizer when guests come over? I think any visitor would be impressed even if you knew it took no time to make! Looks beautiful & satisfying! 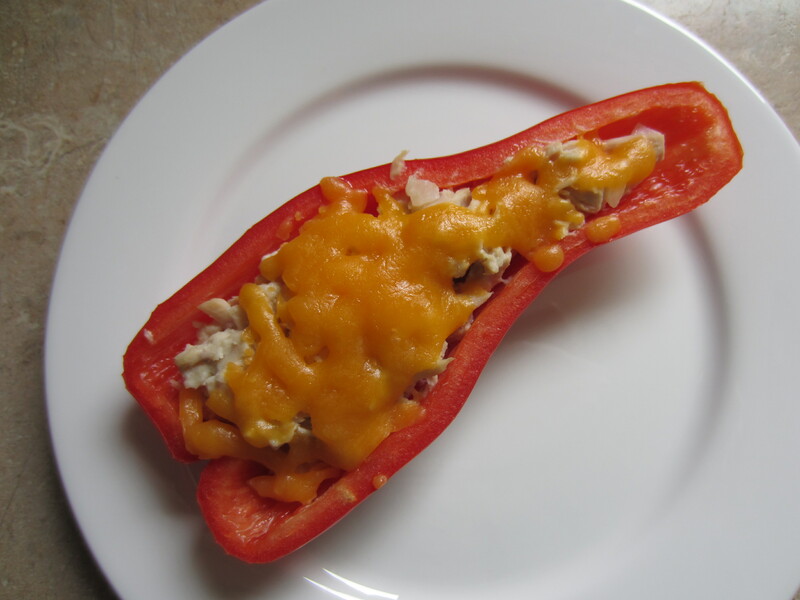 I really like the combination of tuna salad and crunchy bell pepper with cheddar sprinkled on top. Place it under the broiler for 3 minutes until melted…yum! Mmm…and did you know that red Bell peppers have higher concentrations of many nutrients than other Bell peppers? Is it weird that I absolutely love the smell of tomato vines on my hands? This is my favorite part of summer…when it is time to harvest tomatoes from my veggie garden. Much of it takes me back to my childhood, when I would go into the garden to pick the biggest tomato I could find, brush off the dirt in my shirt and take a big bite out of it. 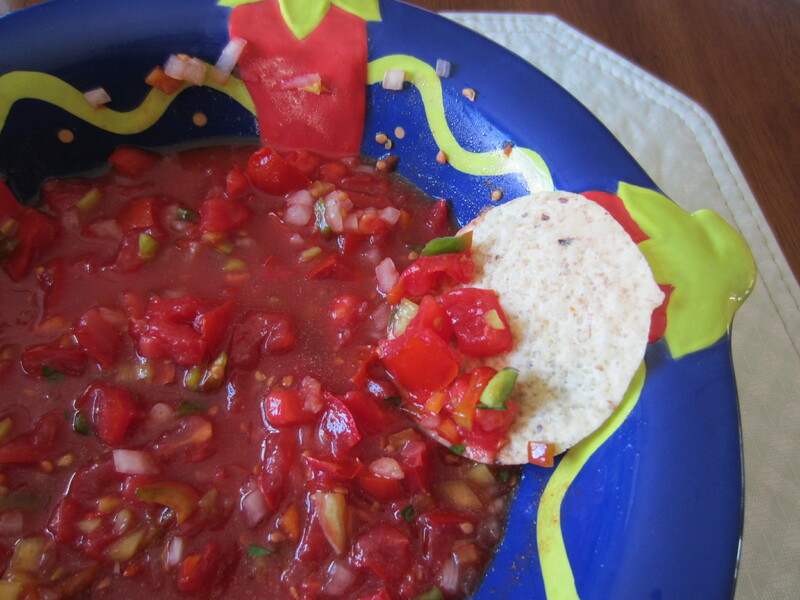 This is the salsa that I whipped up from this afternoon’s tomato harvest!